The Wii U Version of Tekken Tag Tournament 2 Maybe The One for Me! It’s no secret that I will have a Wii U on day one, securing a system via pre order and such. Initially I wanted to stay away from ports of games that will already have been on the other consoles I own, feeling they won’t be offering too much as far as a unique experience. Let me go ahead and eat my words now as Tekken Tag 2 is offering some really great stuff for Wii U, including the return of Tekken Ball! 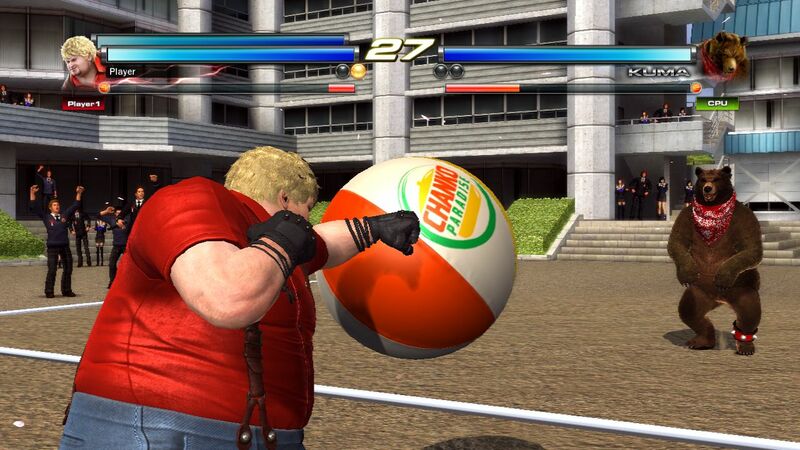 Tekken Ball was last seen in Tekken 3 and was a neat little game mode where opponents attack each other via launching a beach ball at them. On top of all this there are even more Nintendo themed costumes you can place onto your characters. I won’t spoil them, but you can see all their glory after the jump. Here is more Tekken Ball and the promised awesome costumes!